MONTREAL — Quebec will be given more autonomy over immigration if the federal Conservatives win October’s election, party leader Andrew Scheer promised Monday. But he wouldn’t say whether he agrees that Quebec alone should determine how many immigrants it receives. Premier Francois Legault campaigned on a promise to temporarily reduce annual immigration to Quebec, beginning this year. But almost one month into the new year, Prime Minister Justin Trudeau — an advocate of increased immigration to Canada — hasn’t said whether his Liberal government will help Quebec reach its goal. 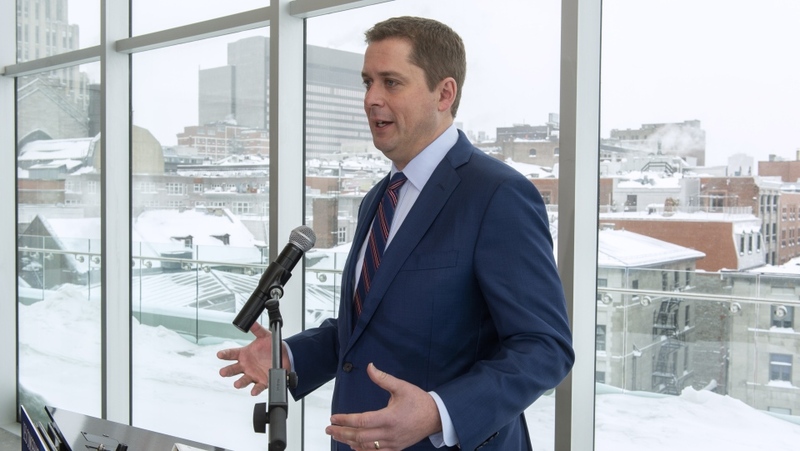 Speaking in Montreal at the end of a months-long consultation aimed at courting Quebec voters, Scheer promised “to ensure that Quebec has more autonomy” over immigration. “Trudeau has had months to do something about (immigration), and what I’m saying is that come October, when I sit down with Mr. Legault, we will actually have actions and not just words, and not just meetings for the sake of meetings,” Scheer told reporters.